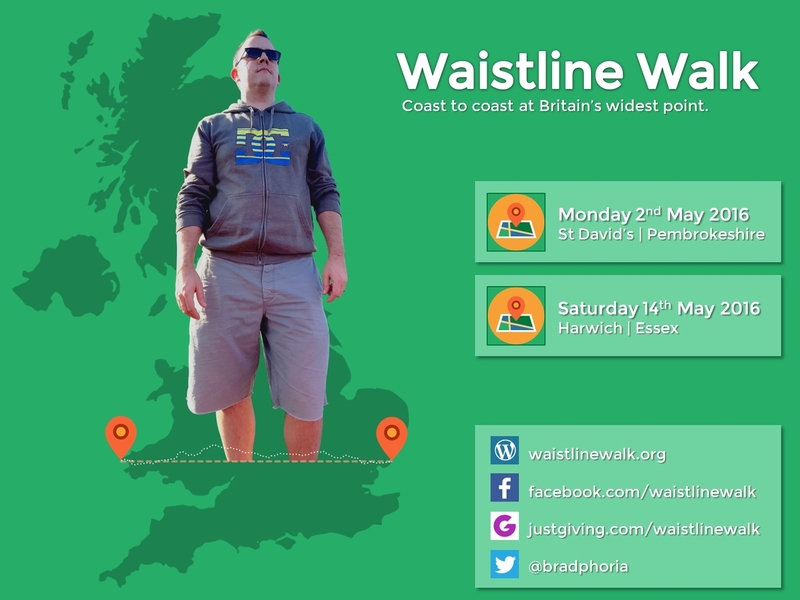 During the first two weeks of May one of our members, Simon Bradley, is undertaking a major physical challenge which he has christened the “Waistline Walk“. 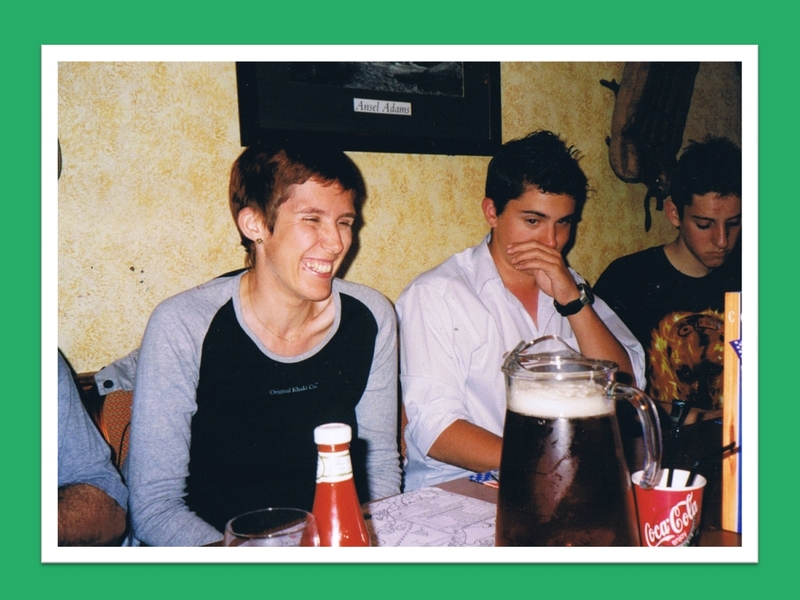 Ten years ago this summer, Simon’s mum Sally-Anne died after a short battle with ovarian cancer. She and the family received fantastic, compassionate care from the staff at Willen Hospice, and one year later Simon decided to travel to the Brigades’ Summer Camp at St Ives in Cornwall on foot to raise money for their cause. 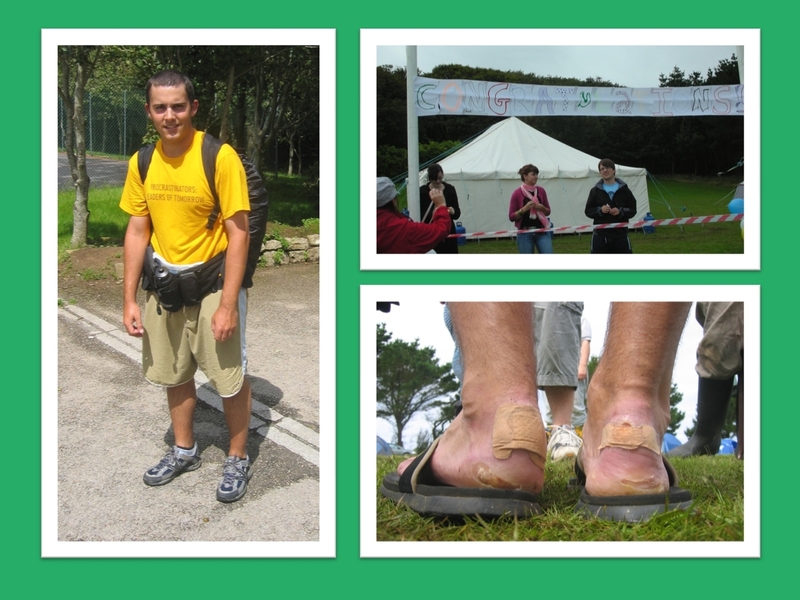 This 300-mile trek raised over £5000 for the Hospice, and nine years later he is ready to do it all again. 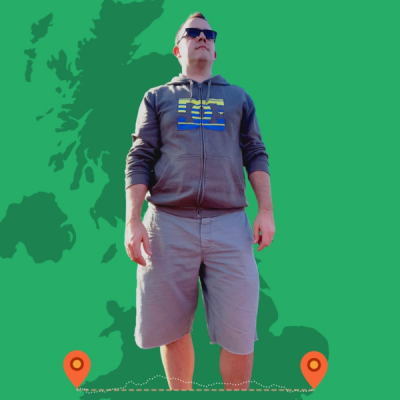 This time, Simon is taking on the task of walking coast to coast, solo, across Great Britain. But rather than opting for one of the tried and tested routes in the north of England, he got out the ruler and has found the widest possible straight-line route, i.e. the waistline! 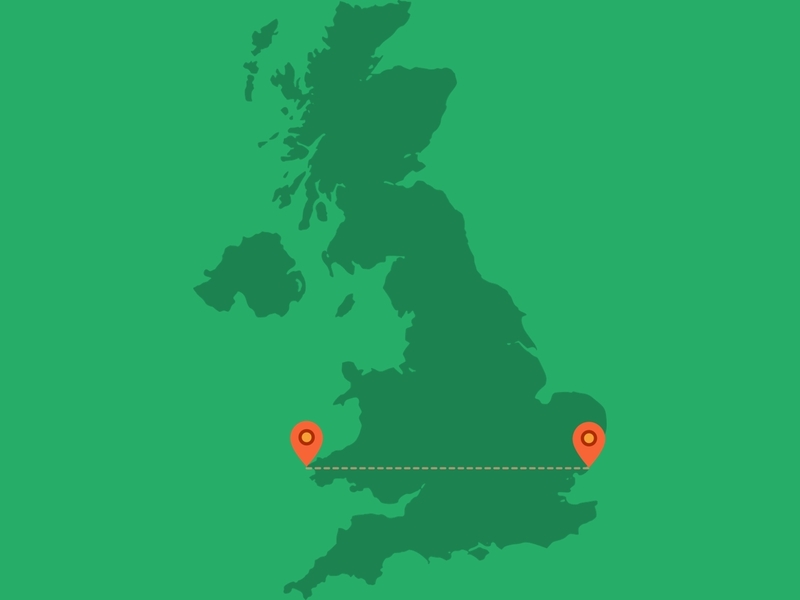 Setting out from St David’s on the Welsh coast on Monday 2nd May, Simon will walk east all the way to Harwich in Essex, arriving just thirteen days later. That’s a total distance of over 330 miles, and equates to walking a fraction under marathon distance every single day. Once again he is being sponsored in aid of Willen Hospice, and you can find information on how to donate — plus lots more about the Waistline Walk — at Simon’s website, www.waistlinewalk.org. For more regular updates on his progress, be sure to like the Waistline Walk page on Facebook or follow Simon (@bradphoria) on Twitter.